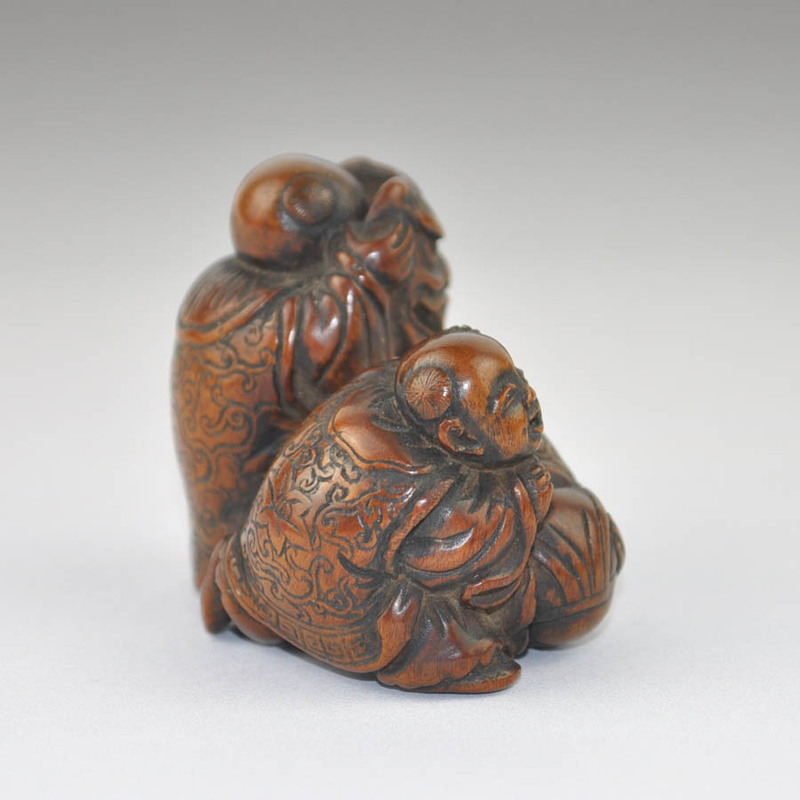 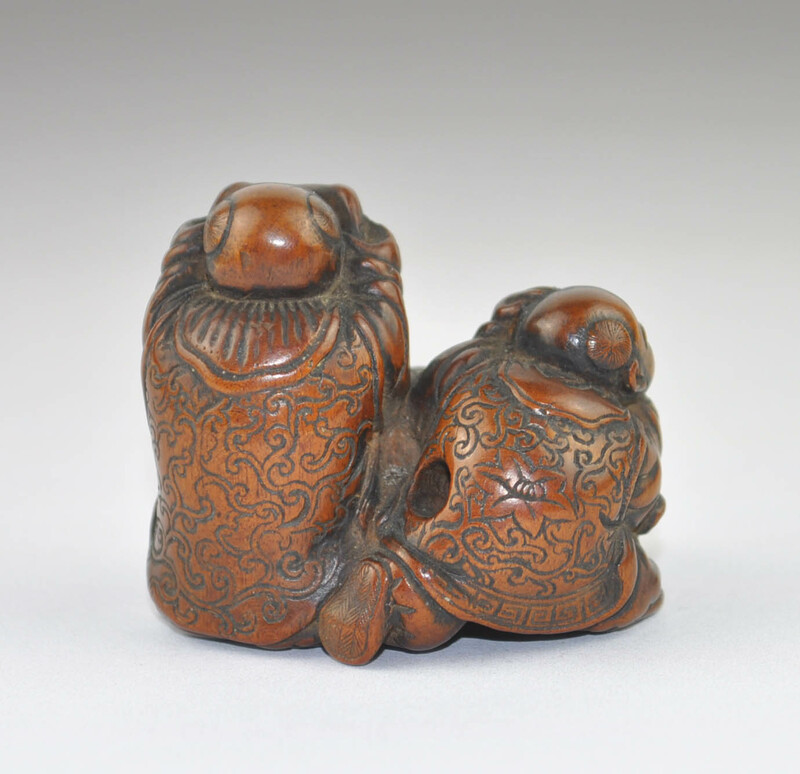 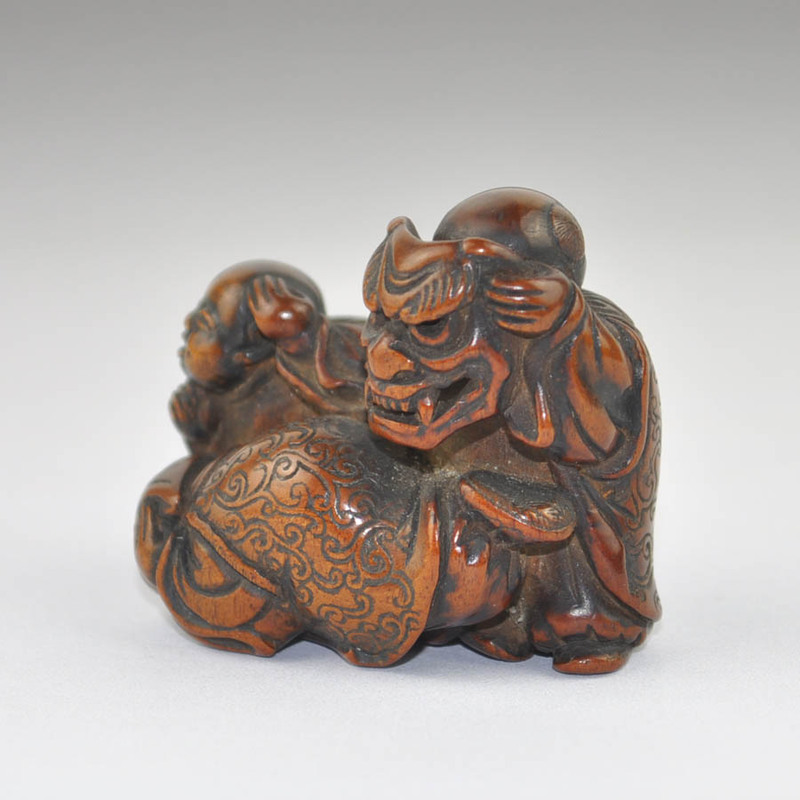 Wood netsuke of three karako (Chinese children) playing. 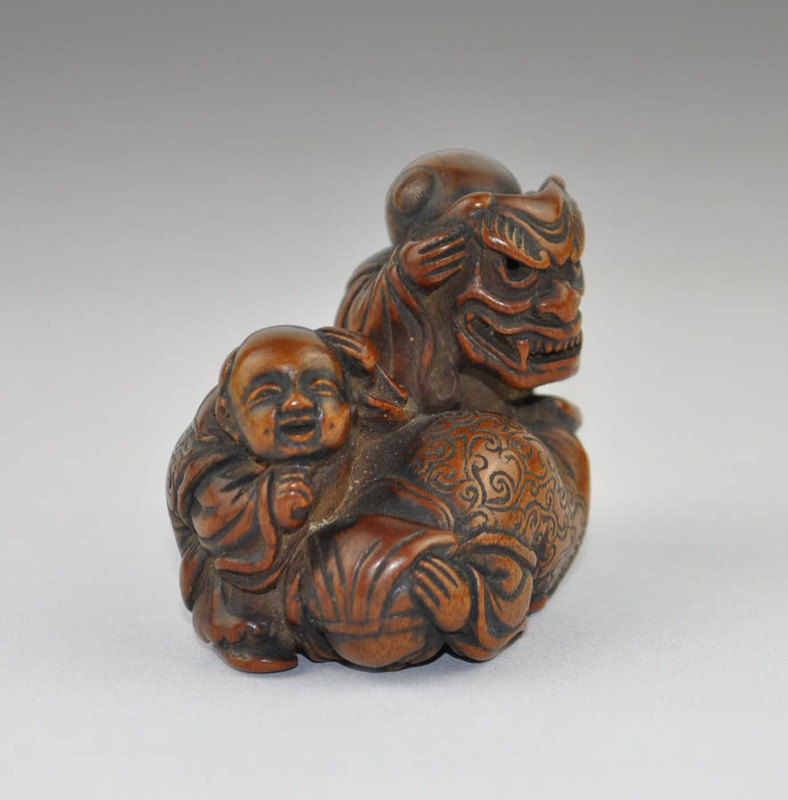 The standing child is depicted as it brings to the face a demon mask scaring the other two who seem to flee, dropping and knocking their ears. 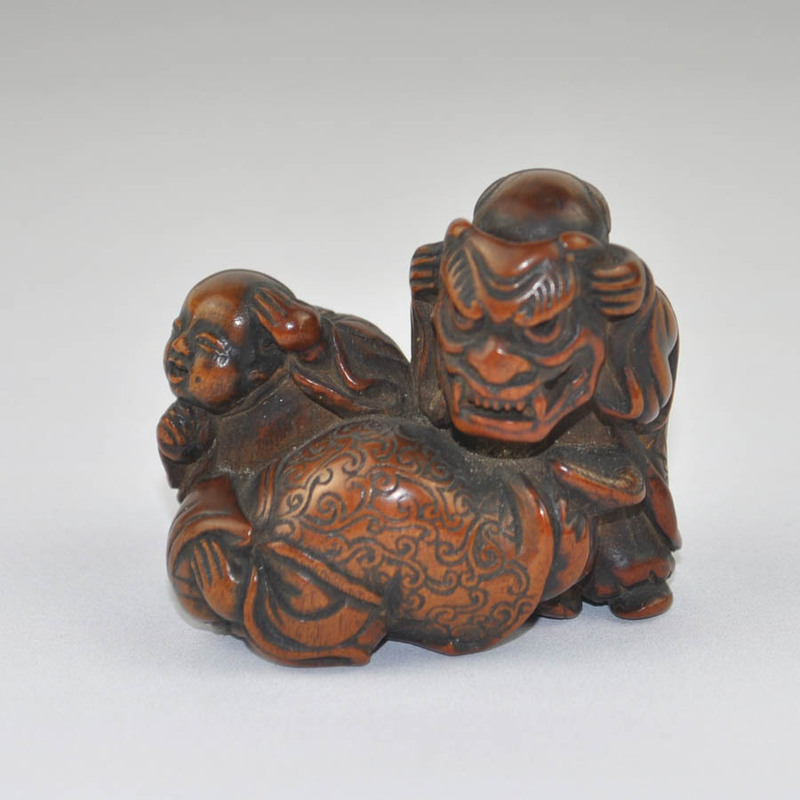 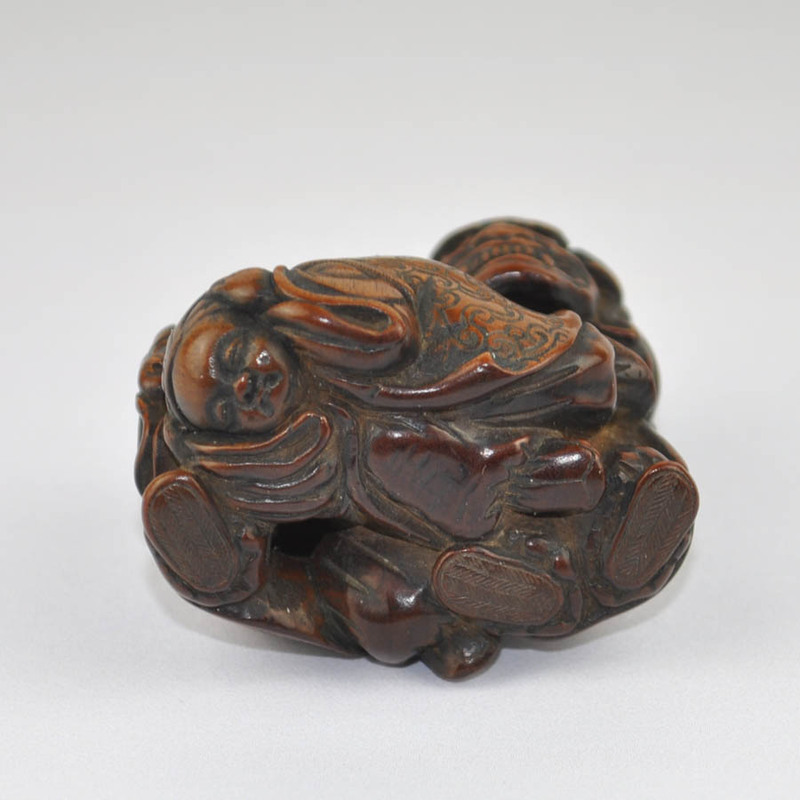 The netsuke is finely engraved in every detail. 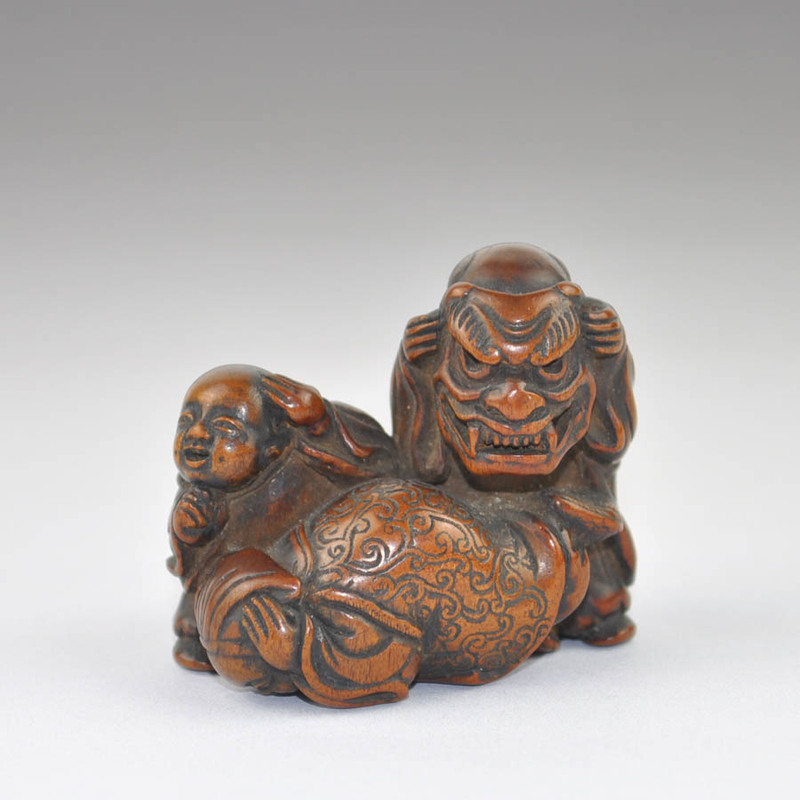 Beautiful dark patina.